The R2400 Ergonomic Chair is a high back petite task chair featuring a contoured seat designed to enhance beneficial ergonomic alignment that promotes healthy, well-balanced distribution of the seated worker's body weight. 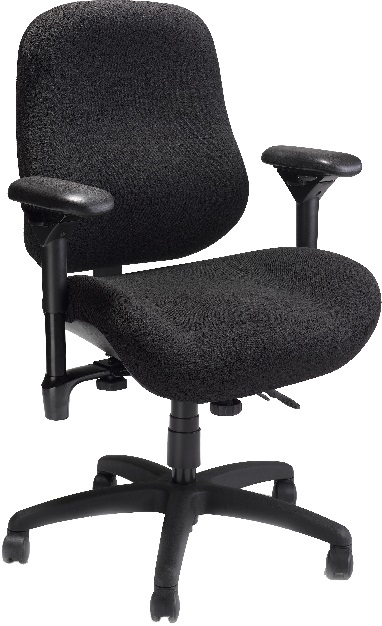 The R2400 chair is an excellent choice for users of smaller stature (under 5'4"). The R2400 petite task chair features 10-Point Posture Control™, which allows the user to control their ergonomic level of comfort. The seat pan is either a minimally or moderately contoured and designed for petite individuals (under 5'4"), with additional contouring available as an option. The R-style synchro-tilt mechanism allows for a smooth rocking motion or may be locked in a stationary position.